Pumpkin Tortilla Chips and Fall Harvest Salsa- The perfect way to make football Sundays even a little more fall- if that’s possible. Pumpkin Cranberry Crisps- The ideal cracker for an autumnal cheese board. Autumnal Harvest Sauce- I’m looking forward to using this on pasta, zoodles, even just on top of chicken. 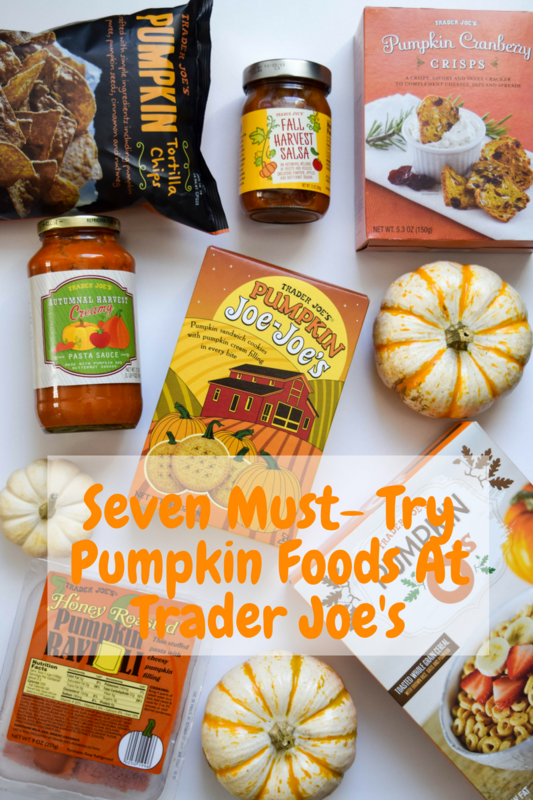 It’s made with pumpkin and butternut squash- two equally delish fall flavors. 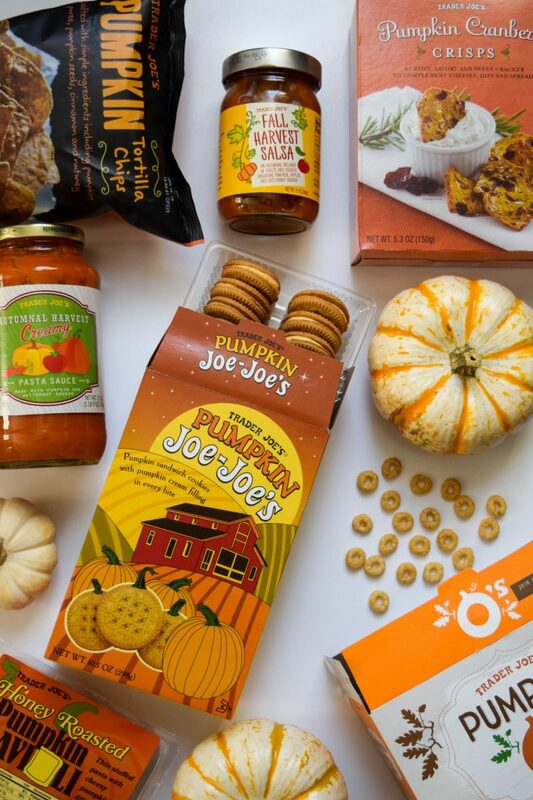 Pumpkin Joe- Joes’s- Totally obsessed with these- think of them like a pumpkin oreo! The best little sweet treat for dessert. Honey Roasted Pumpkin Ravioli- Whenever I see pumpkin ravioli on a menu in the fall, I have to order it. These will make for an easier weeknight dinner since they cook quickly- I’m planning to add a brown butter sage sauce for a little something fall gourmet. Who else is ready for all the pumpkin?